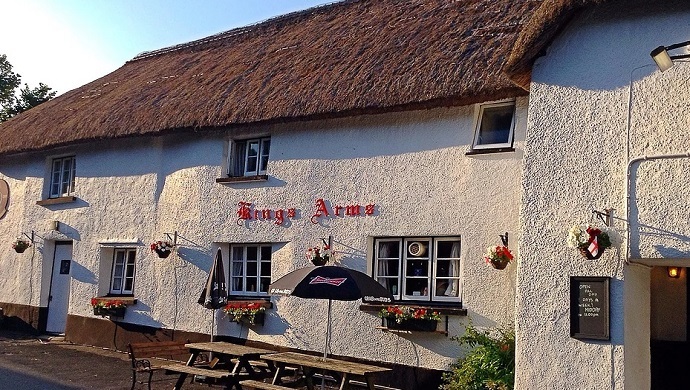 For a traditional country pub which stands proud at the heart of its Dartmoor community, may we introduce you to our Pub of the Week - the Kings Arms in South Zeal. Your hosts at this 500-year old thatched pub are Woody and Carolyn, and they take care of ensuring there is a warm welcome for the many local regulars and visitors alike. 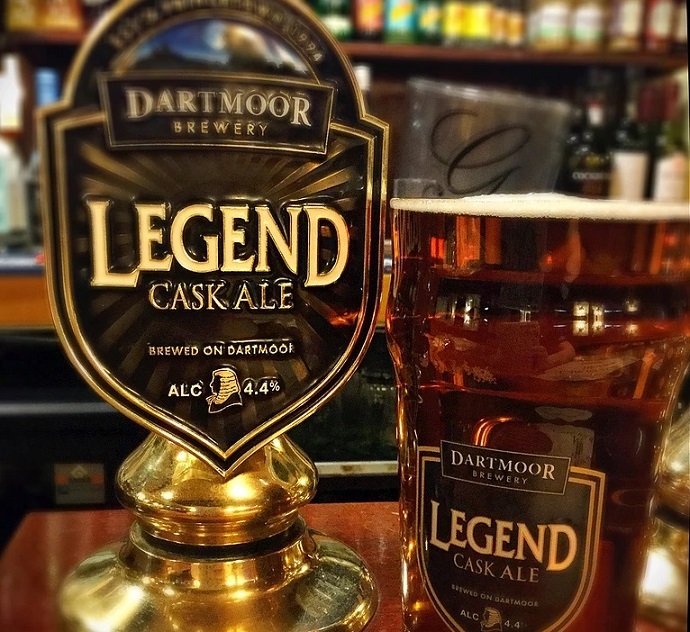 A great selection of real ales is central to this CAMRA-accredited pub's great reputation - including perfectly presented Legend and IPA from Dartmoor Brewery. 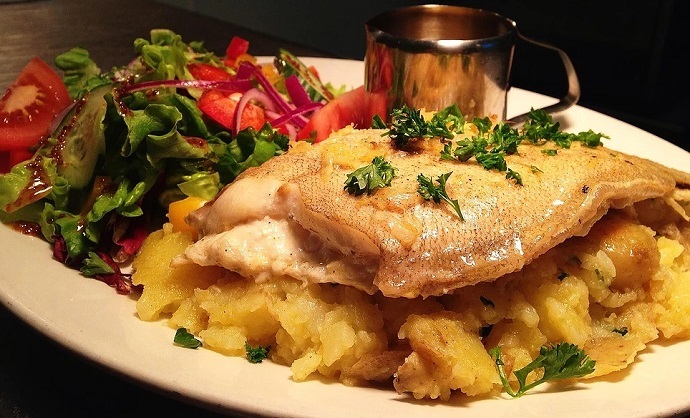 There's hearty home-made food on offer, with an emphasis on local ingredients and generous portions. The menu includes a strong line-up of traditional pub classics, as well as a Specials Board for something a little different. There's also an excellent pizza menu on offer, to eat in or take away. The Kings Arms is a great choice for a bite to eat or some liquid refreshment if you are enjoying a day out on Dartmoor. There is plenty of wild Dartmoor walking all around, plus the picturesque Meldon Reservoir, the National Trust's Castle Drogo, and the pretty moorland village of Chagford all a short drive away. With great Dartmoor walking all around, it's not surprising that the Kings Arms is very dog friendly - complete with water bowls for thirsty hounds, and doggy treats behind the bar. 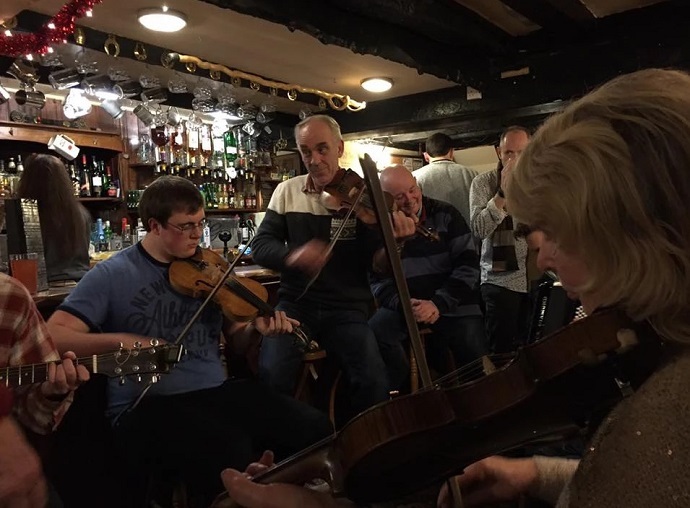 The Kings Arms is rightfully proud of its tradition of live folk music, and a monthly open mic night adds to the programme of regular live music. 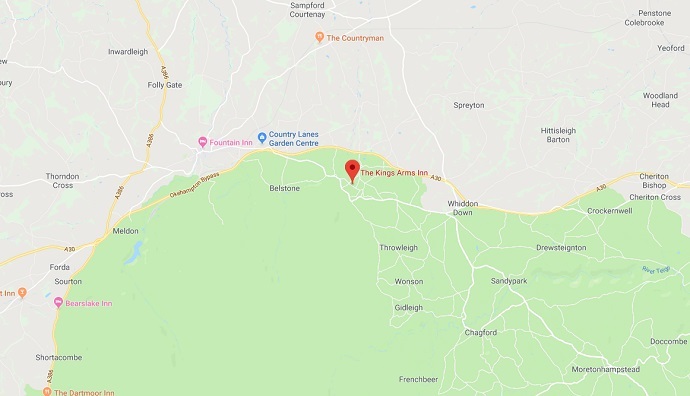 With so much to enjoy at the Kings Arms, and on the doorstep, it's worth making a weekend of it - and there is camping on-site for tents and camper vans. Immerse yourself in Dartmoor, and enjoy warm, traditional inn-keeping hospitality at the Kings Arms.